Welcome to Baby and Toddler Food. This website is created as a service to our visitors and may be used for informational purposes only. Because the Terms and Conditions contain legal obligations, please read them carefully. This Site and all its Contents are intended solely for personal, non-commercial use. Except as expressly provided, nothing within the Site shall be construed as conferring any license under our or any third party's intellectual property rights, whether by stopple, implication, waiver, or otherwise. Without limiting the generality of the foregoing, you acknowledge and agree that all content available through and used to operate the Site and its services is protected by copyright, trademark, patent, or other proprietary rights. You agree not to: (a) modify, alter, or deface any of the trademarks, service marks, trade dress (collectively "Trademarks") or other intellectual property made available by us in connection with the Site; (b) hold yourself out as in any way sponsored by, affiliated with, or endorsed by us, or any of our affiliates or service providers; (c) use any of the Trademarks or other content accessible through the Site for any purpose other than the purpose for which we have made it available to you; (d) defame or disparage us, our Trademarks, or any aspect of the Site; and (e) adapt, translate, modify, recompile, disassemble, or reverse engineer the Site or any software or programs used in connection with it or its products and services. All information and content provided in the pages and posts contained within this Site are copyrighted work of the author and publisher unless otherwise noted. 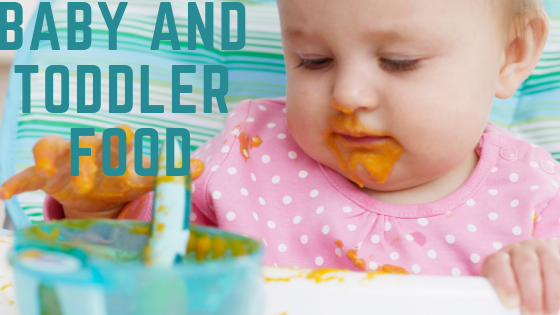 © Baby and Toddler Food (https://www.babyandtoddlerfood.com). All Rights Reserved. This Site is controlled, operated and administered by us from our office in United States. We make no representation that materials at this site are appropriate or available for use at other locations outside of the United States and access to them from territories where their contents are illegal is prohibited. If you access this Site from a location outside of the United States, you are responsible for compliance with all local laws. Baby and Toddler Food (www.babyandtoddlerfood.com) in no way provides any warranty, express or implied, towards the content of recipes in this website. It is the reader's responsibility to determine the value and quality of any recipe or instructions provided for food preparation and to determine the nutritional value, if any, and safety of the preparations. The recipes presented are intended for informational purposes only and for use by persons with appropriate technical skill, at their own discretion and risk. Adverse reactions to food consumed such as food poisoning and any kind of food-borne disease. Domestic accidents, including but not limited to fires in your kitchen, a cut finger, or flour-covered kitchen countertop. Baby and Toddler Food make no warranties for the outcome of the recipes presented in this website. Take Note: Cooking is subjective. Each user can use the kind of ingredients that he or she prefers. Before trying a recipe, make sure that your child is not allergic to any of the ingredients. It is imperative that the right amount of ingredients and tools are used. If you decide to try the recipe for your children, you are doing so "at your own risk."